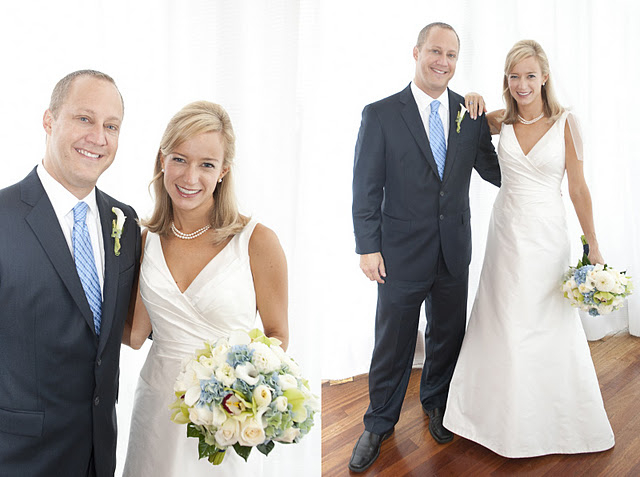 Ross and Meredith married the weekend of hurricane Irene. 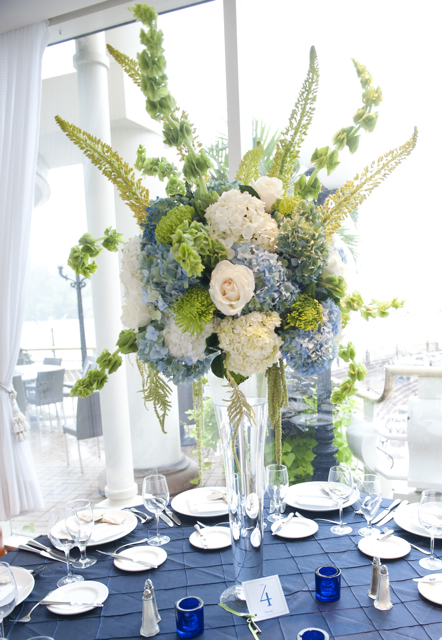 Their wedding and reception was held right on the water at the Sequoia Restaurant in Georgetown. 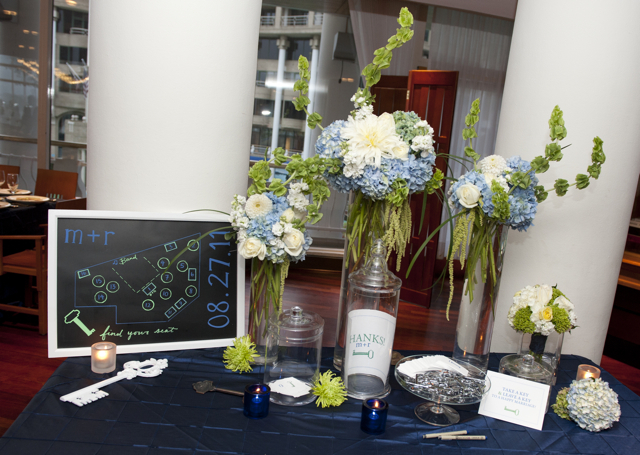 Thankfully due to the efforts of event planner and designer Vicki Grafton their wedding was a cheerful event, in spite of the weather. 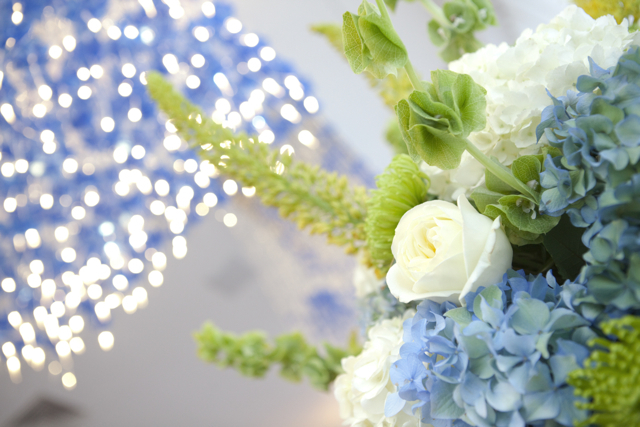 It looks like our bright blue, green and white flowers also helped to make the day bright and beautiful. 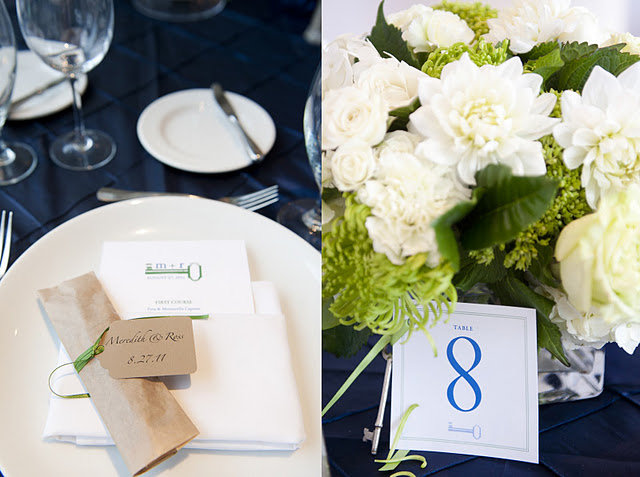 We can thank Sweet Tea Photography for capturing the day so perfectly. 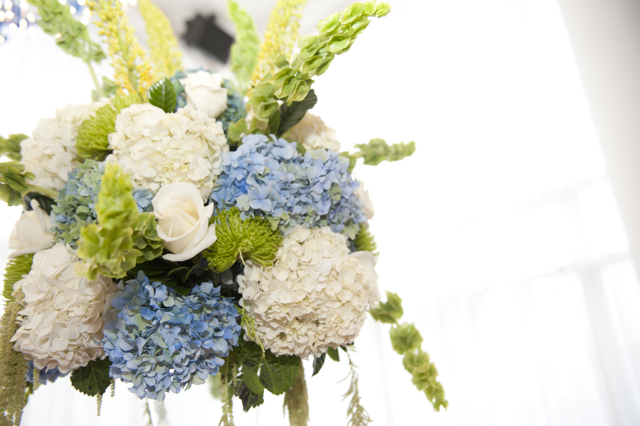 Maids bouquets were created with white stock, white roses, and green hydrangea. 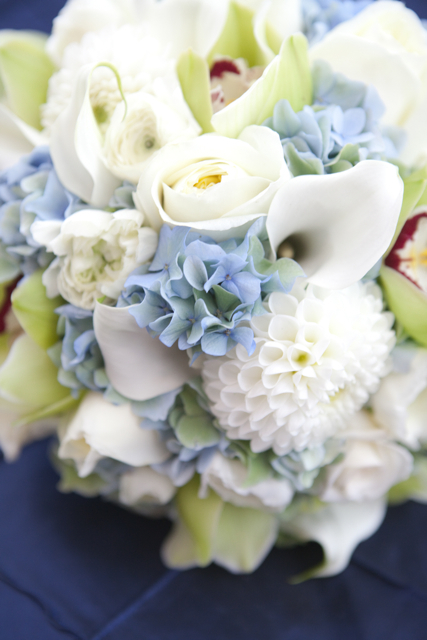 The bridal bouquet was designed with blue hydrangea, white dahlias, white mini calla lily, green cymbidium orchids, and white cabbage roses. 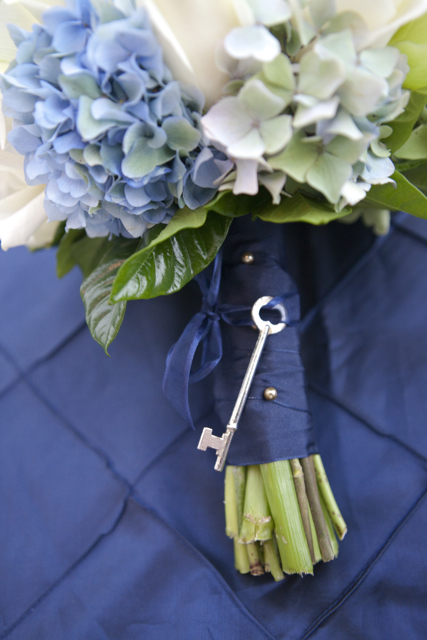 The bouquet was finished with a small little church key. 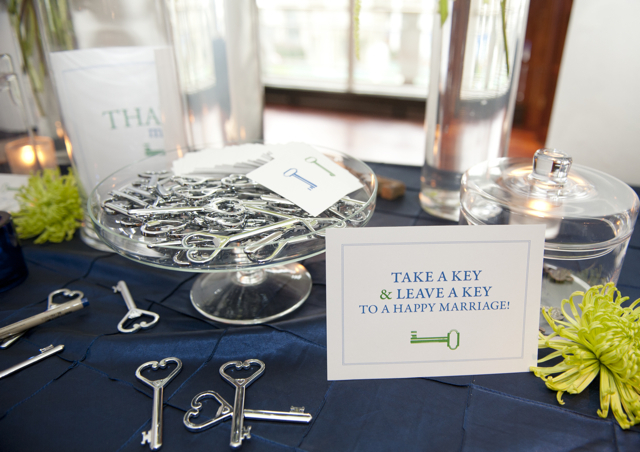 In fact church keys were everywhere because the couple met at ChurchKey in Logan Circle. 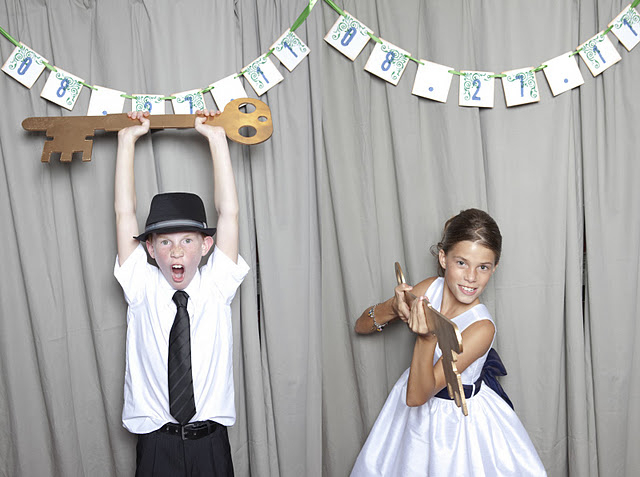 The use of the church keys was super cute and Vicki as usual brought a theme to a wedding that had a true meaning. 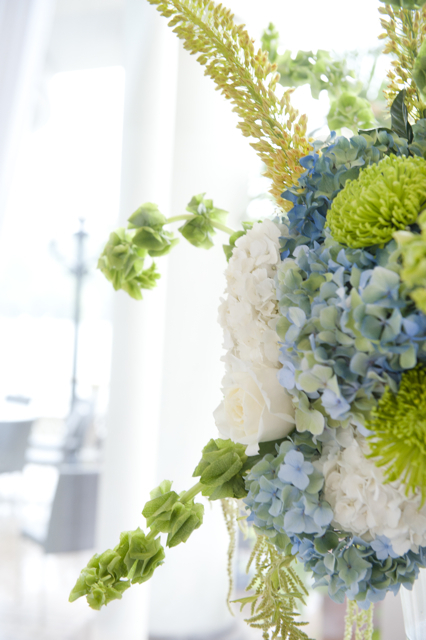 It was such a pleasure to design for this wedding. 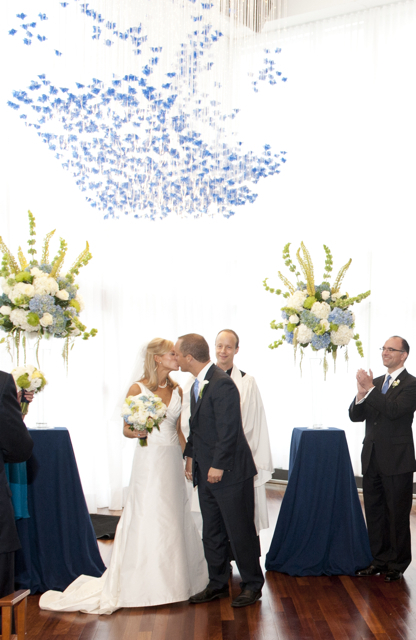 I absolutely adore the designs we created on this day. 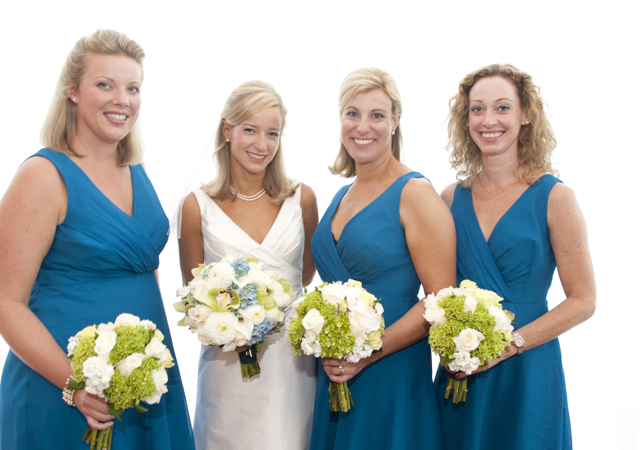 Happy married life Meredith and Ross. 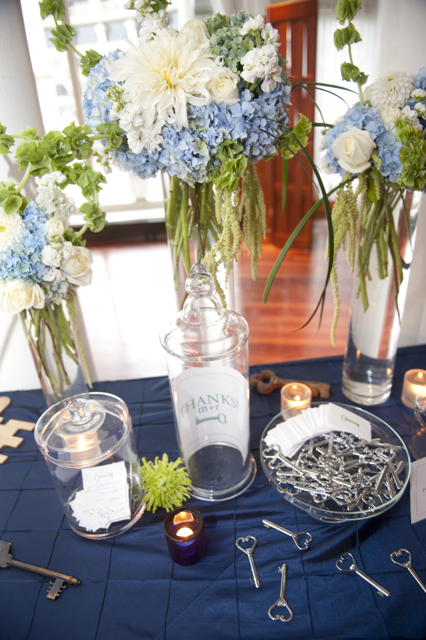 Thank you for allowing us to be a part of your wedding. 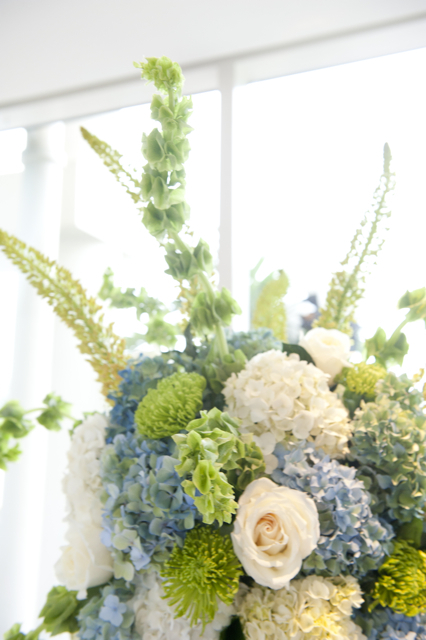 More images can bee seen from this wedding on the Sweet Tea Photography blog right here. 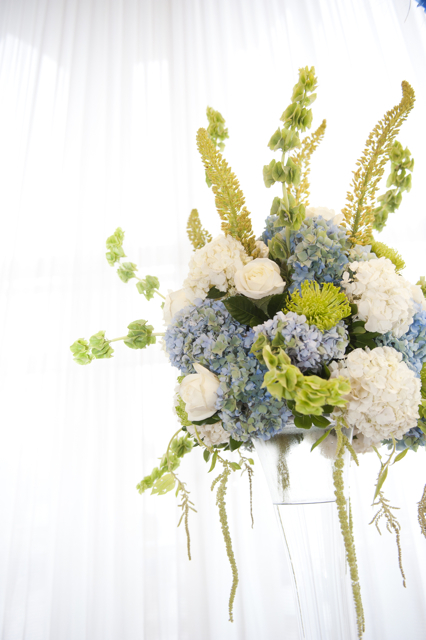 Have a happy Friday! !